Just as consumers have adopted their own tools and habits to better manage their lives, the technology-driven advances at work will lead to utility and better ways of getting things done. It is a journey more than a destination and one that requires participation and ownership across different levels of your organization. 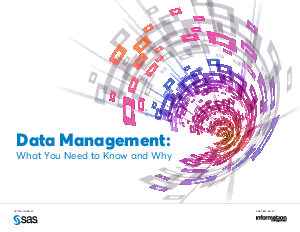 A basic holistic view of data management initiatives and practices will put you on a productive course and help to keep you there.